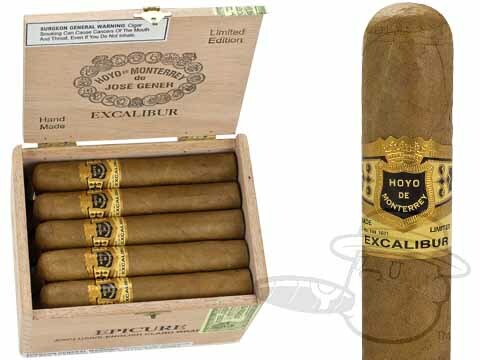 The Hoya Excalibur has always been one of my favorites… Excellent draw, firm ash, even burn and great flavor! At a great value, it is one that I don’t mind burring at the golf course. The Epicure is good for 6 holes, and the #1 is good for 9! A really nice smoke with nutty tones. Gets better closer to the fingers .Have not bought in years, but glad I came back to it. Will buy on regular basis. One of my mainstays, there is always one in my humidor, always. Good morning smoke, mild but consistent. Excalibur Epicures Natural is rated 4.3 out of 5 based on 4 customer ratings.